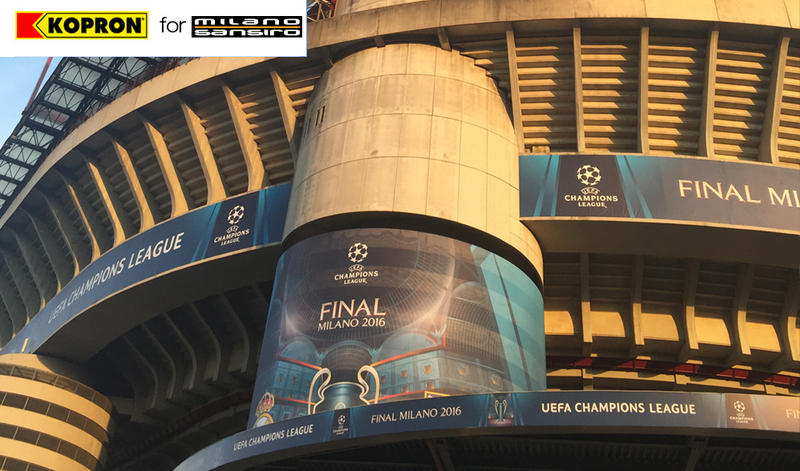 Milan has become the centre of European soccer: finals of Champions League between Real Madrid – Atlético Madrid took place at the San Siro stadium. 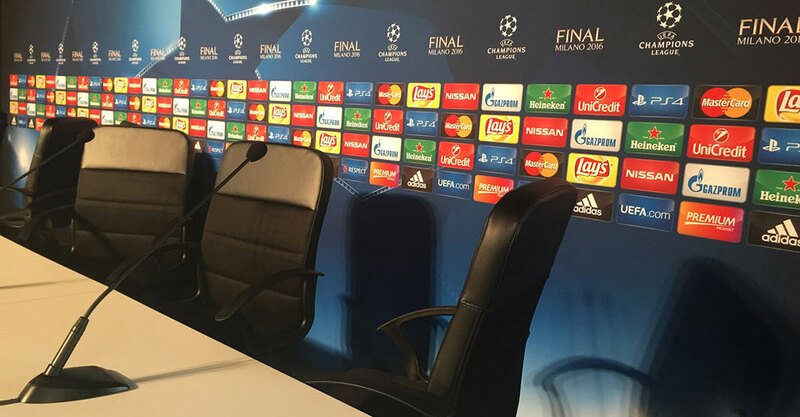 For this so long- awaited event, Kopron designed and installed a press room, tailored to meet both San Siro Stadium and UEFA requirements. 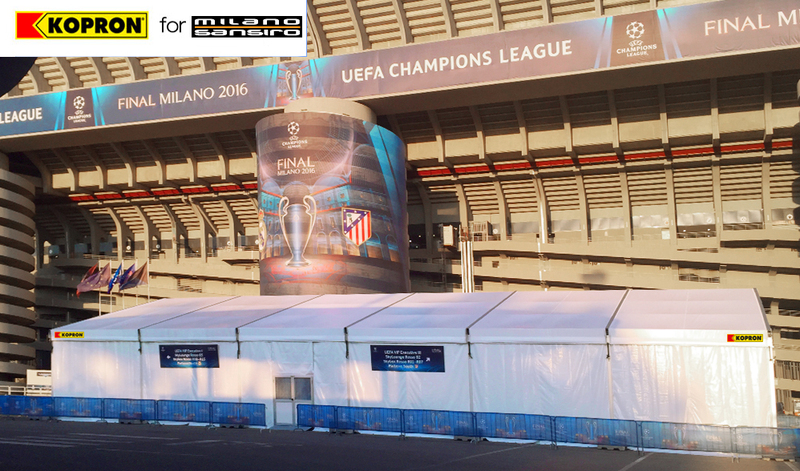 Kopron’s temporary tent hosted medias for press release and live streaming. Kopron have a long and consolidated experience in exhibitions and in international events, and are able alone to follow step by step all the aspects of a successful project from the choice of the ideal hosting structure to internal setup. 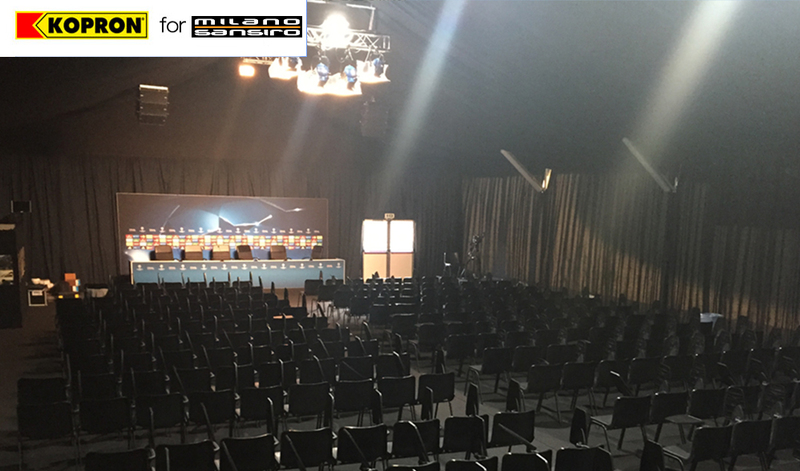 The press room was prepared under a 450 m² double-sloped tent, installed on a wooden platform covered with a CE marked black carpet. Aluminium guides were used to strengthen the platform which was placed upon a steel frame with a capacity of 600kg/per m² equally distributed on the surface. A perfect project for hosting many people. Inside the structure, wall perimeter was padded with a cotton fabric for acoustic insulation. There was also air-conditioning. The internal setup consisted in platforms for speakers, photographers and TV cameras off the ground to avoid vibration, 4 cabins for simultaneous interpreters with a direction area hosting 240 authorized medias, lighting and audio systems, tables and chairs with desk arms. Furthermore, the extra-modern technology employed guaranteed a perfect audio/video signal to all the 60 TV cameras coming from all parts of the world. The technical/logistics dept. 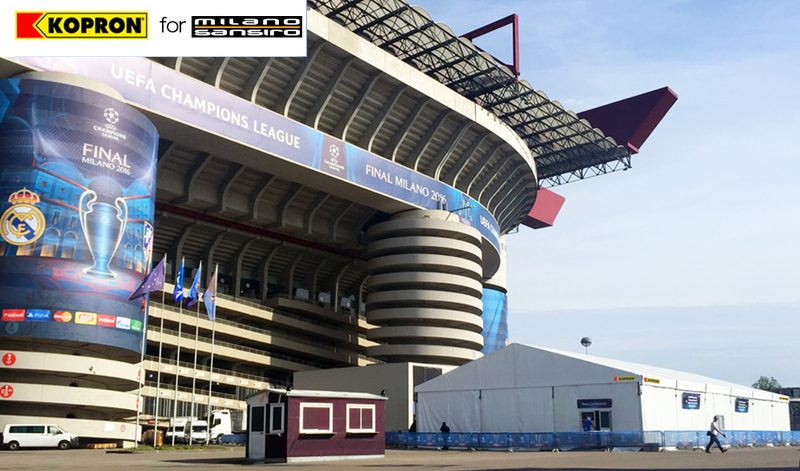 at San Siro Stadium, chose Kopron for the turnkey project they offered, for their reliability and availability to be constantly present during such an event. “Kopron Events” a division especially dedicated to events, represents another important goal for Kopron.